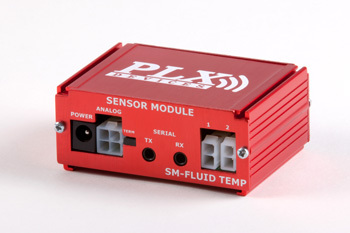 The PLX Fluid Temperature Sensor Module accurately measures the the temperature of any liquid. 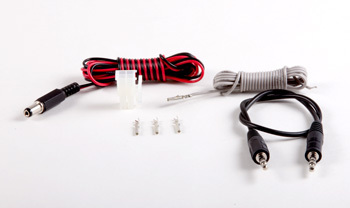 It uses a resistive type VDO sender. 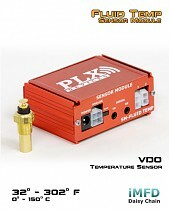 This is ideal for coolant temp, transmission temp, oil temp and any other water temperature monitoring. 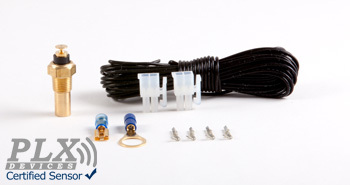 Up to 32 Sensor Modules can be daisy chained together in the PLX iMFD system and can be connected to any PLX Multi Gauge through the digital serial output port and can be connected to any PLX Multi Gauge through the digital serial output port such as the DM-6 or DM-100. 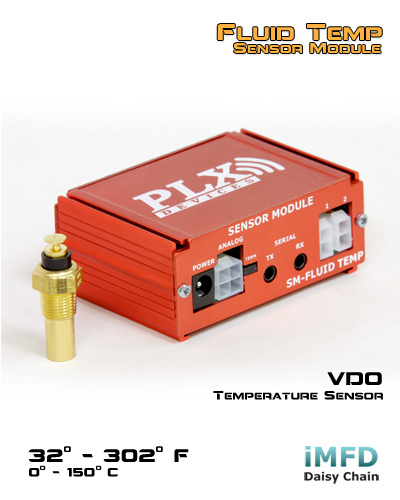 The Fluid Temperature Sensor Module can also be used as a stand alone unit capable of interfacing with 3rd party hardware where both the digital output and analog output are available simultaneously. 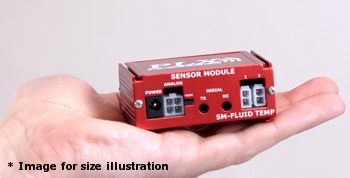 The SM-FT has a measurement range of 32 - 302 degrees Fahrenheit or 0 - 150 degrees Celsius.